The votes are in! Today we introduce you to q's first ever artist in residence, as selected by audience vote. The votes are in. The audience has spoken. 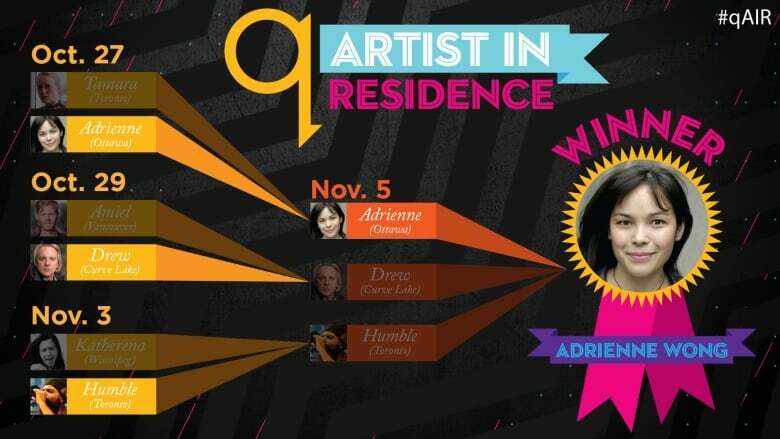 We are pleased to announce that Adrienne Wong will be q's first ever artist in residence! Wong will be the show's go-to for creative commentary on matters of artistic and cultural significance — from historical milestones to viral memes. The q audience is also invited to suggest general subjects and specific assignments for her. Sincere thanks to the five other talented artists who campaigned for the role: Tamara Lindeman, Katherena Vermette, Amiel Gladstone, Drew Hayden Taylor and Humble the Poet. 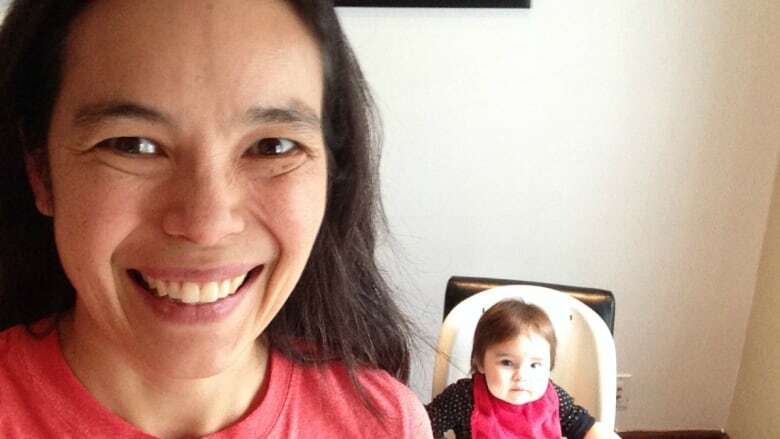 Ottawa-based theatre artist Adrienne Wong creates projects that enhance connection and encourage interaction. From audio plays to participatory shows, Wong invites audiences to "re-see" the familiar and re-imagine the everyday. Try Adrienne Wong's apology generator here. Adrienne's previous works include commissioning, producing and writing two of a series of 11 site-specific audio plays (PodPlays); co-creating Landline with Dustin Harvey, a performance event for two audience members in different cities connected by an audio guide and text messages; co-writing Me on the Map, a participatory show for kids about city planning with Jan Derbyshire; co-creating Placebook, a live, analogue Facebook with Mirae Rosner and Marcus Youssef; co-creating three installation-style events (HIVE) with Vancouver's Progress Lab; and curating the research wing of SpiderWebShow.ca, a joint initiative between Neworld Theatre (Vancouver), Praxis Theatre (Toronto) and the National Arts Centre (Ottawa). Radio projects include Radio Scrabble, where Adrienne played Scrabble with the province of British Columbia one morning on North by Northwest (CBC Radio One), The Scarf Exchange, where we swapped craftworks with participants all over BC, and numerous radio plays and cultural commentary pieces. Did SNL sell its soul to Donald Trump?